Randy James discusses media relations strategies with museum leaders at the Getty Center. Steve Sugerman and Randy James joined the Getty’s head of communications, Ron Hartwig, to lead a Media Training and Crisis Communications workshop for participants of the Getty Leadership Institute (GLI), which brings together leaders from prominent museums throughout the United States and around the globe for intensive management training. 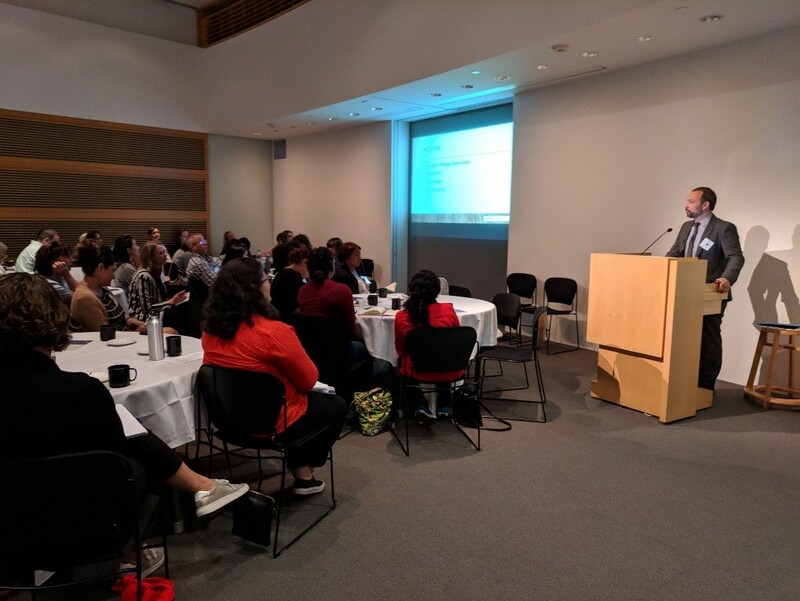 This year’s workshop – our fifth with the GLI – was especially meaningful, as it came just days before our good friend Ron Hartwig’s retirement from the Getty after more than 12 years. The Getty is a true gem of Los Angeles and one of the world’s great arts institutions, and being invited to present in such a magnificent setting to such a talented group of professionals is always a high point of the year.